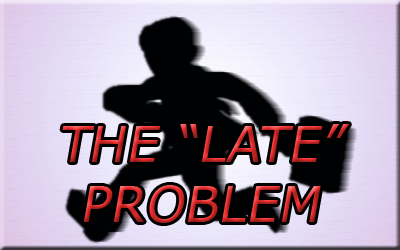 Lateness is one of those things that all companies have to deal with. It may seem like little more than the occasional annoyance, and perhaps it’s not something you’ve considered monitoring properly. After all, Employees being late can be frustrating but it’s not exactly damaging the business all that much, is it? In a recent study on lateness in the workplace, it was found that an average of 590,000 workers in the UK arrive late every day. At an average of 97 minutes per month for each late employee, that’s a loss of £305 per person, per year! The problem doesn’t end there. It turns out that employees who are late also end up feeling more stressed, less efficient and produce sub-par work. So now you’ve got employees costing you money due to lateness, and then costing you even more money due to lack of effectiveness and inefficiency. A time and attendance system is a great step in ensuring that employees are not costing you money by turning up late without you knowing. A system like Captureit can help you identify those who are consistently late so you can do something about the problem before it gets out of hand. As studies such as the one mentioned above, the importance of having accurate records of employee’s time and attendance behaviour becomes much more evident. You can ensure that everyone is getting paid for exactly what they work, and you identify and eliminate problems before they become too disruptive. You can read about the study and its subsequent findings on the DJS Research website by clicking here.